Tony Hachem (pictured centre, above) has sealed the Season 1 Australia New Zealand Poker Tour Player of the Year award after some strong performances, most notably deep finishes in Adelaide, Sydney and Melbourne. Tony also racked up points in Queenstown, display the consistency needed to claim the title. In second place was Chris Levick (above, left), who won ANZPT Melbourne, and also scored heavily in Sydney. 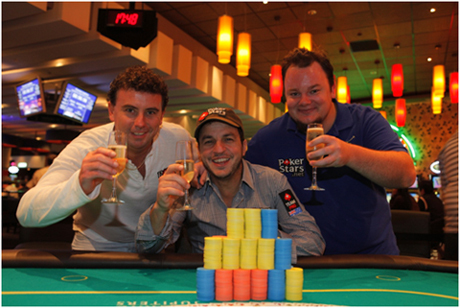 Joel Dodds (above, right) finished in third place, after big cashes in Sydney, and also in the final event at ANZPT Queensland. See below for the top ten finishers in the 2009 ANZPT Season 1 Player of the Year race.